ILLEGAL PARKING? About 150 trucks arrive per day to offload at the Durban Bulk Store and according to our driver correspondent, it can take up to two days for them to offload and get going again. And while theyâ€™re in the queue, the Durban Metro cops fine them for illegal parking â€“ when there is no legal parking to talk of. This, in FleetWatchâ€™s opinion, is sheer exploitation by Durban City. 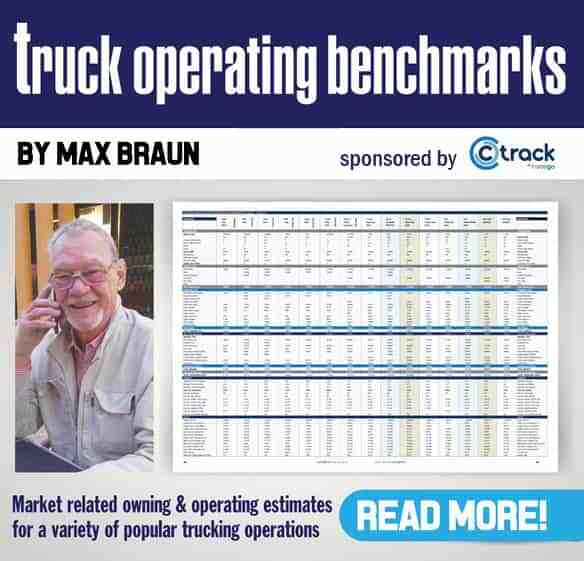 Readers may recall that some years ago when FleetWatch used a husband and wife truck driving team, Walter and Carol Van Piggelen, to put across the voice of the drivers out there. Their articles were thought provoking and in some instances, extremely controversial. 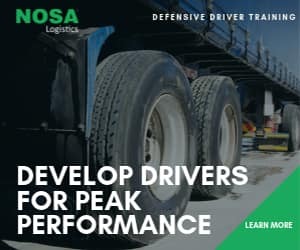 We have gone some time without hearing the on-the-road problems , and successes , of truck drivers but the good news is that we have now found another driver to take on this role. In this instance, however, he will remain anonymous as he does not want to be victimised for ‘˜telling it as he sees it’. In his first submission, our driver correspondent – who is out there as a full-time truck driver , highlights some of the issues drivers are facing. How stupid is this situation? 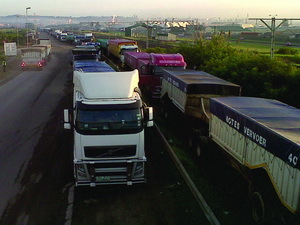 Maydon Wharf and Bayhead in Durban harbour have become taxi ranks for trucks that are involved in the import and export of agricultural products for South Africa and Africa. South Africa is busy exporting maize and soya and, as an aside, the interesting thing is that some of the truckers then haul imported soya back to Johannesburg. Funny hey! Anyway, what happens is all the trucks load maize for the Agri Port and the Durban Bulk Store and a total of about 150 trucks arrive there per day. Because of the delays, we have to wait in long queues and it is not uncommon for a driver to take a day or two to offload his truck. Today, for example, after driving through the night, I have been waiting in the queue since 9.00am and the time is now 15:30pm. There are still 43 trucks in front of me and I estimate that I will leave Durban at after midnight tonight. THREE FINES! The three fines issues to our driver correspondent’s rig totalling R900. We have blacked out the rig’s identification information on the fines so as to protect the anonymity of our driver correspondent. Parking all these trucks presents a real problem for the drivers as there is no place to legally park them. The Metro Police, however, see this as an opportunity rather than as a problem as they come along and issue fines to the drivers for illegal parking at Maydon Wharf. To them, it’s a great way of exploiting the truckers so as to get funds into the city’s purse. This is an everyday thing in Durban. We always get fines at Durban Harbour and the only thing the drivers can do is to move away from the truck when they see the Metro Police coming. The police then issue a fine to the truck and not the driver. Today was my turn , along with a couple of my buddies behind me. I asked the traffic chap where we were supposed to park and he just said he didn’t know. That helped me a lot and I’m still sitting here after receiving three fines totalling R900 , one for the truck tractor and one for each trailer. Not only is this grossly unfair to the truckers who are doing a vital service for the country and have nowhere else to park but also, with the delays, many drivers suffer in that if your truck stands in the line, your salary stands in that line with you. There’s no pay for standing in lines. Durban Metro cop doing the dastardly deed. FleetWatch reckons give the trucks legal parking while they wait to offload or leave them alone. The situation of long queues and delays at Durban Harbour as so clearly highlighted by our driver correspondent has been going on for months and is just no longer acceptable as it is having an impact on the entire supply chain. Kathy Bell, Head: Transport Solutions, Specialised Finance at Standard Bank Vehicle and Asset Finance, tells FleetWatch that feedback from her clients shows that the problem is not improving in spite of new software which has been implemented to facilitate the loading times and process. And, on top of it all, fines are being issued to the trucks while waiting in the queues. The whole situation is a mess and needs urgent fixing. FleetWatch will, in the meantime, approach the traffic authorities to try get them to at least stop issuing those ridiculous parking tickets. Hold thumbs! There’s a new thing on Van Reenens pass. They have blocked the fast lane for trucks when you go up (north bound). We offload in Durban and then go back empty to our loading places. Now, every time I go up Van Reenen, I have to stay in the slow lane behind the loaded trucks and sit behind them doing about 15kph until we reach the top. A modern truck running with no load can easily go up at 80kph. By the way, if you tell the cops you are running empty, they just tell you to shut up. The truck drivers are getting really upset with this and the problem is they take chances and overtake the slower moving trucks. Then, around the corner, the cops stop them and issue a heavy fine of around R2 500. This situation is really ridiculous. Going up the hill are trucks that kick out a whopping 610hp pulling only 25 tons and others running empty. You then get the guys from Zimbabwe going up in an old Merc that kicks out 260hp. They do 5kph with 36 tons loaded and we have to stay behind them all the way up. This wastes a lot of time and is totally unproductive for the trucking industry. This is how trucks kill people. This morning I was going down Hilton (Town Hill) just before Pietermaritzburg doing about 50kph with 37 tons of maize loaded. My retarder was on stage 5. I was taking it slowly because there are major road works at the bottom of town hill. This driver not only overtook our driver correspondent at speed but the smoke from his brakes show he is now pushing hard down on his foundation brakes to slow down. Brake fade is a real danger here. This guy needs training. I was then passed at speed by another truck in a ‘˜no overtake zone for trucks’ where the maximum speed limit is set at 60kph. As you can see from the photograph, he was using his foundation brakes to try slow down and smoke was pouring from his rig. This is how you get brake fade and is just one example of why trucks experience so called ‘˜brake failures’ and then run over cars and kill people. Not all truck drivers on our roads are responsible. This one is definitely not. Drivers must be instructed to fully comprehend the meaning of brake fade. Dave Scott, technical correspondent for FleetWatch, says this happens when it is not possible to dispel the amount of heat being generated at the friction interface in the foundation brakes. In addition, the consequences of advanced brake fade – complete failure of the friction material – must be spelt out to drivers. Friction materials are subjected to high temperatures during the steps of manufacture and the re-introduction of excessive heat breaks down the vital bonding process to which they were subjected during manufacture.